There was a question in a tech facebook group I co-manage about what tools you’d use if starting a new project today. I don’t know for sure. It depends -of course- is the expected answer. For example, there’s some idea I had I mind I considered using MongoDB or CouchDB for, while still using .NET, and then I wasn’t sure if I go extra mile in DB I’d go for Node or Rails as well or would prefer .NET for my personal productivity. I also often use Node/Bower when checking libraries with many dependencies. So, for this question, I thought what tools I might use in a company project. Thinking back, I found that most tools I use now are good enough for what they do. So, I thought I’d list these. Chrome devtools for web debugging (obviously), unless it’s IE issue of course. Considering Xamarin as their work seems to be VERY cool, and I recently get access to their stuff via my company (OT: Also considering Neo4j DB for similar reasons). Jasmine or QUnit for JS testing, often with Chutzpah test runner. TFS Scrum Work Item tracking, or Trello sometimes for Adhoc stuff. Some clients require Jira. What tools do you you use when developing? Let me know in the comments, via email, or on twitter! This blog post is about an ASP.NET MVC workaround we implemented in a previous project. We solved the problem by enforcing using a class that extends one of ASP.NET MVC classes, which in itself created another problem, as new developers joining the project may always use the old class. The solution to this problem was not something that I invented, but it’s also not a very common practice. We wanted to solve a problem where in an AJAX heavy ASP.NET MVC application, if the user triggers an AJAX action after staying inactive for longer than our application timeout, the call to the controller action, which normally gets a JSON response, would instead get the HTML of the login page. This is a known issue in ASP.NET (particularly System.Web). A feature that’s on by default is returning a redirect to the login page instead of a HTTP Unauthorized Status code (401). After the redirect the response returned is a successful (HTTP Status Code 200) load of the login page. That means even our Angular.JS error interceptors (or jQuery handlers, etc.) don’t notice there was an error. ///     so the client side interceptors can handle it. SuppressFormsAuthenticationRedirect is the property that disables the login redirect. Microsoft set it to false by default so that it’s backwards compatible. it’s very easy to just forget and use Authorize not AuthorizeRedirect just out of habit. I hope the code is self explanatory. We check the web project assembly for all ASP.NET MVC Controllers, then we check the Controllers and all their Action methods for existence of the AuthorizeAttribute. We filter those that use the correct attribute (AuthorizeRedirectAttribute), and we Assert that there are no the no Controllers or action remaining, otherwise, we tell the developer which Controller or Action needs to be fixed, and how to fix it as well. The drawback of this is that our Unit Test project had to reference the ASP.NET MVC assemblies and gets more stuff than most tests should need. We can overcome this by moving our “convention” tests into another project completely, but for this project the conventions were very few and it seemed fine. Of course the same method can be applied to any other convention you enforce in your project. One obvious example is ensuring all Controllers inherit from a custom base Controller class instead of the ASP.NET MVC class directly. I know people who already do this, as I mentioned in the opening the technique is not new by any means, but it’s worth even more popularity. I hope you found the technique useful if you haven’t used it before, or found the post a good place to reference it to those who didn’t. I have been doing Angular.JS in production projects for months, that it did surprise me recently how I haven’t used drop-downs in it. Well, I mean how I haven’t used them enough to get into several problems I had in my current project, and other friends at the same office had in their project as well. To save you the pain I went through, I’ll list some problems and solutions here, and then give you a video that shows going through all of them ans the thought process that led to the solutions. Assuming someObject in the model has the same properties and values as someObject in the objectList, it will still not be selected. It’ll only be selected if someObject was actually one of the objects in objectList, like objectList or whatever. Otherwise, Angular.JS will insert an empty option tag with no value or text and select that. An un-documented (AFAIK) feature in ng-options is that you can use some bits from the ng-repeat directive with it, like track by. This allows us to choose some property as the comparison key. When Angular.JS writes the <option> tags from an ng-options directive pointing to an array, the value of the option is always the index of the element it maps to in the array. This is not important if you process the selection on client side because you only deal with the result of ng-model anyway, you can use this later to create an AJAX request or whatever. However, if you intend to submit the form using a normal server submission, and only use Angular.JS for say validation or managing complex form interaction (client-side tables containing sub-items with add/remove/sort for example), this may be a road blocker to using Angular. By default Angular.JS uses the index of the array to track which object maps to which <option> element. Similar to the previous problem, use the track by syntax. Angular.JS will use the track by property value as the <option>‘s value. Most of the time your tracked property is the key property you want to send to the server anyway, so, this should be good enough. However, if you do this, you’ll notice that the select is no longer usable. No initial selection, and changing selection although updates the model, it does not show the new selected value. The track by syntax expects an object, with the property you use to track. It does not honor the key part used in the key as text syntax (which in our example is g.id as g.text), so, it wants the ng-model to point to an object with the tracked property, it cannot be the key itself directly. I didn’t call this a solution, because it’s pretty much a hack. We created a new property (which I liked to prefix with _ to show it doesn’t normally belong to the model object), initialized it to a new object that contains only our key property id set to the original simple value genderId, and then used that as the model (as in ng-model). We created and assigned the property in ng-init, then synchronized the changes to the simple property via ng-change. This allows the code everywhere else in the application (like the controller, or other parts of the markup) to only interact with the property we want (genderId in this example), without knowing about our hack. This makes things a bit cleaner, although it still remains a hack rather than a solution. You can view an example of using this hack here. One thing you notice if you are affected by the “initial selection” problem, is that the empty <option> tag that Angular.JS adds when it can’t match the ng-model to the array from ng-options disappears when the use changes their selection. We have gone through how to avoid showing the empty option by mistake already. But if you do want to have that option, it’s easy, just, um, add it! If you are using Angular 1.4+, check the much smaller 2nd part of this article, about how to use track by correctly. Using track by correctly with Angular 1.4 select ng-options – Why can’t I select this option? Recently I discovered that there’s no one standard way for AJAX-driven server-side paging in ASP.NET MVC (in Web API, you can expose an IQueryable). For the case in hand, I decided to use PagedList for the server bit of the game. It provides nice properties for paging, and exposes itself as enumerable and has an indexer. Apart from this snippet, the library also provides an extension method ToPagedList() to apply to any enumerable and allow it to populate the properties from it (by enumerating on it, and by calling the Count() method). Well, yes, except when you have a custom collection like PagedList, and you want to treat it as an object that has several properties, not as an array. JSON.NET does provide a solution for this actually, all you need to do is apply the [JsonObject] attribute to your class. Unless you don’t own the source code of this class. In this case, you need to inherit from it. By doing this, I lose the nice ToPagedList() extention method (because it creates an object of the PagedList class directly), but luckily it does nothing but calling new PagedList() with the parameters we give it, so, we don’t lose much. Apart from having to copy the constructors to pass parameters to the base ones, have you noticed the extra Items property in there? That’s because the Subset member it includes is actually a field, not a property, and JSON.NET won’t serialize that by default, I could override it somewhere else, but since I’m fiddling with this here, it made sense to just stick a property to the class. This allows the controller to instantiate an instance of the SerializablePagedList class, pass it all the way to whatever repository method I have. The motivation behind this post is that I found the problem of serializing PagedList using JSON.NET a challenge and I wanted to help others work it out faster than I did. Is this how I’d recommend doing paging? Well, I don’t know, but if it’s what you choose, I hope that I have saved you some time. And more importantly, is it good enough to be the defacto standard I mentioned I was after in the beginning of the post? Not really. I think it’s not bad, but definitely not the best. I’d love to see less clever (read: hacky), and more simpler solutions. This may be a completely useless post, but it took me a bit to figure out some of the pieces until I got here, so, I thought maybe it’s worth sharing! What’s this & how did I come by it? Instapaper is a nice service that provides you with “read it later” bookmarklet. You use this bookmarklet to add any web page to their log and you can read that page later via their site, a mobile application (from them or 3rd party), or via Kindle (or other book readers)! Apart from their bookmarklet, they provide a simple API to add URLs programmatically. This is useful if you for example want to extract URLs from other services, say twitter favourites. They also provide a Full API (OAuth API) for doing everything their site and apps do, except some things in this so called Full API are (at least to be) only for paid subscribers. Instapaper’s simple API is quite interesting though, according to the docs, you can use HTTP and provide only username (email) -not even password- to add a URL, and you can use POST or GET. That’s scary for anyone who thinks about security, but -maybe- OK for what the API does. They also provide the API in proper HTTPS with basic HTTP authentication (and if you want more, you can always use the Full API’s OAuth). I wanted to use their API in HTTPS using POST and Basic Authentication. In my tests I was happy to try HTTP and/or GET and/or sending username in clear-text. I also thought I’d write this in Node because I thought it should be easy. Node people often serve REST/HTTP APIs, so, they must be good at consuming them too (even though in reality most consumers are client JS not node), right? Well, maybe yes. I can explain the challenges, how I overcame them, and then show the final code, but I have spoken too much already, let’s begin with the code. var statusCode = !!response ? See? It was all very straight forward. Well, it wasn’t for me. I tried several NPM packages to get this effect, and none was going well. The “request” package was the one that did the trick. this is generally accepted in Node, the built-in API is very low level and there is some NPM package that gives you the nicer one. For all the other packages I tried, they didn’t have any dependencies on other packages. This “request” package gave me the usual shock seeing so many NPM packages downloaded and installed, but this is the philosophy of NPM, build small reusable pieces built on top of other pieces. While the packages were not working, interchanging HTTP status codes between 403 (invalid credentials) and 400 (missing parameters), it was very hard to tell what I needed. Even associating to proxy to get the output to Fiddler didn’t go well with for example the “easyHttp” package (there is a similarly-named NuGet package for .NET BTW, but it’s not related at all I think). Which added the following header to the request: “Content-Type: application/x-www-form-urlencoded”. This kind of makes sense. This overly permissive API feels more optimized for sending from web-pages, where forms are a front concept. I tried to add the header when I was using other packages but that didn’t seem to tick it. I tried this one, and as you can see didn’t even need to set that. I just used the “form” property of the options though instead of “body” or “”json” properties. This is why I’m posting this, to hopefully help someone googling get up and running quicker than me. This is not just Instapaper, this can be very helpful in so many situations. If you are not a Node person but still want to have a fiddle, after you install Node (which includes NPM package manager by default), then you save the code to a JS file “some-file.js”, preferably in a new folder. Assuming Node and NPM are in the PATH (installer default), you can open Cmd or PowerShell console in that folder and run npm install request then node some-file.js (no quotes in both), and see the results in front of you. This is a PowerPoint Presentation (and extraction of the contents) I made as per a couple of friends’ request (@EmadAshi and @AmrEldib) to show how OAuth works along with Twitter and how easy it is to cache OAuth credentials. As I was doing related work for TweetToEmail. I felt a PowerPoint presentation will be even better than a blog post for this one, but here you get the two. View more presentations from Mohamed Meligy. A Twitter Application will use these in all coming requests. The important part in RequestToken is the Token part, not the secret. If you don’t know what eager loading is, Jump to “What’s eager loading?”. The “Products” part. The word “Products” is a string. If I rename the Products table to ShopProducts or whatever or even remove it from this data diagram and have it elsewhere, or even something wrong happens and the relation is removed from DB/diagram by mistake, my code will still compile, but will fail when it runs. This is BAD BAD BAD. Since I always believe that if something exists somewhere you shouldn’t do it yourself unless its totally broken (and I mean REALLY REALLY BROKEN), I started searching inside the Entity Framework itself for something to get the entity name from. Where Product is the entity class generated for table “Products”. Note that singularizing the name (Products becomes Product) does not happen automatically like in Linq-To Sql, you’ll have to change it manually, which is not required for the code here of course. As you an see n the comment, this didn’t work. The value of property was always “-EntityKey-”, the default value of the abstract class “StructuralObject” which all entity classes inherit. My requirement was simple. if the diagram has something wrong that the relation between ParentTable and ChildTable tables but not about the entity classes themselves, My code should not still compile and fail on run. I need to use some code that depends on the relation so that if something is wrong with the relation this code fails early and I know about it the problem the next time I build the VS project. If you are using some ORM / Code generator that creates for you classes like “Product”, “Category” and gives you properties like “myCategory.Products” , “myProduct.Category”, how would you create such page? Normally you’ll put a repeater or such for products inside a repeater for categories. 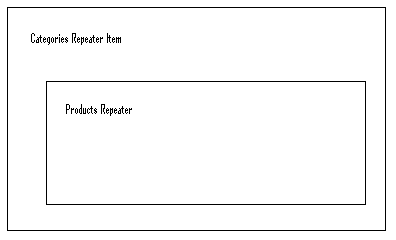 The products repeater will have its data source set to the current category item of the Categories repeater, something like “( (CategoryEntity)Container.DataItem ).Products”. Fine with that? Familiar? Nevermind the LINQ syntax. It’s just like writing “SELECT * FROM [Products] WHERE …” with all the dataset/datareader stuff. If the generated code (or your code) looks like this, this means that that for every category in the database, you’ll have a separate DB call to get the products of this category. It also means that the products of each category will not be loaded until someone writes code that calls the getter of the Products property. That’s why this style of coding (not loading the related objects until they’re asked to be loaded) is called Lazy Loading. This is good for a single category where you may be seeking just the basic information of the category and will not try to load products, since then they will not be requested when you don’t ask for it. However, this is very bad for our example page. Because it means that a new DB call for each category. Imagine that you have 20 or 50 or 100 Category there, this will give you how many DB calls? (Hint: N Categories + 1 call for the category list itself). // Code that laods category info from DB. Does not matter here. This is good in case you know that in every situation when you use the category, the Products will be needed. This is probably not useful in a Product/category Scenario but think of a Person table and Address table where most likely whenever you load a Person you’re going to load his Addresses. This is also useful especially when using ORM/code generator as in the first example. Lets get back to the Repeater example. If you use Entity framework or similar ORM, and you set the Categories query to load the Products eager loading (meaning each Category is created with its Products loaded already), Entity Framework can have a single connection and only TWO database hits, one for the Categories, and one for the Products. This is very useful in many listing scenarios. It also help especially when you have many parent objects (say Categories) or if the parent object needs to load entities of many different classes (say User needs to load Roles and Permissions and Personal Information and History and …. (if such case is applicable for you of course. Now that you know what eager loading is, you can go up and check how the Entity Framework does that.